I think it's safe to say that by now you guys know that in january and february I am all about staying in and being relaxed and cozy. 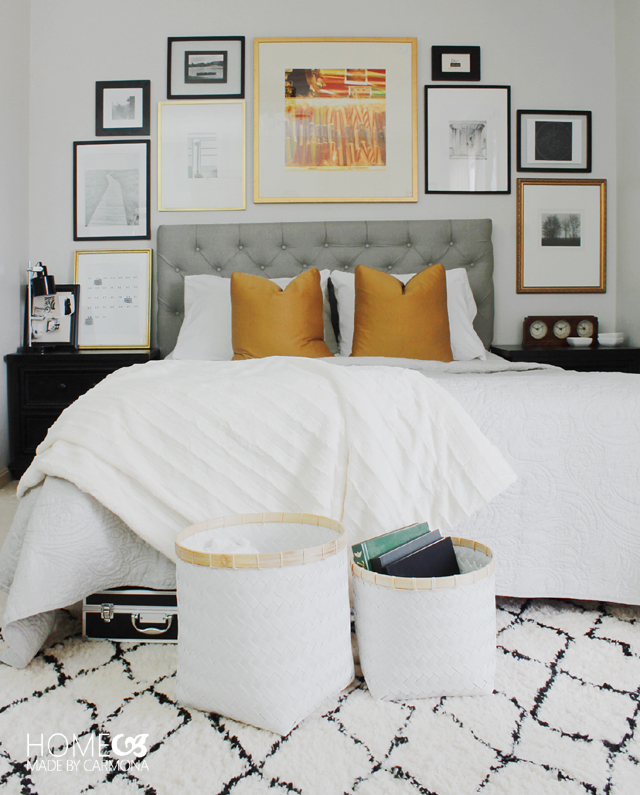 My favorite room to revamp on a more regular basis is my bedroom. We spend a lot of time in our bedrooms and it is important to sleep in a comforting and calming room - so why not make it beautiful?! If you're looking for help to redesign your room, here are my favorite places to start that are simple, inexpensive and make a huge impact. In the bedroom the bed is obviously the main focus of the room. Changing your bedding is a simple but extremely effective change you can make for the aesthetic of your room. Take a risk and go for a bold new color scheme to mix things up. If neutrals are more your vibe, make sure to opt for some texture so the look stays interesting. One way to switch up the comfort of your room is to make sure you have a great mattress. Your bedroom can be decorated to the nines but if your mattress is lumpy and uncomfortable, it won't become your cozy oasis. I love the John Ryan by design luxury double mattresses as they are soft and luxurious. Sometimes you might be stuck in a design rut because your furniture layout isn't the best for your room. Switch up the layout of your bed, move around your dressers - get creative! Spend an afternoon getting your workout while moving around the furniture and trying new configurations and you never know, you might find a new arrangement you never would have thought about before! Paint is always the most dramatic and cost effective change that you can make when it comes to your home design. Whether you opt for warmer tones to create a cozy ambiance, greys to build a neutral palette or cooler blues or greens for a spa like feel, step outside of your comfort zone and try something new. Your bedroom is your room, and one you should enjoy so pick a color you love and take a risk! 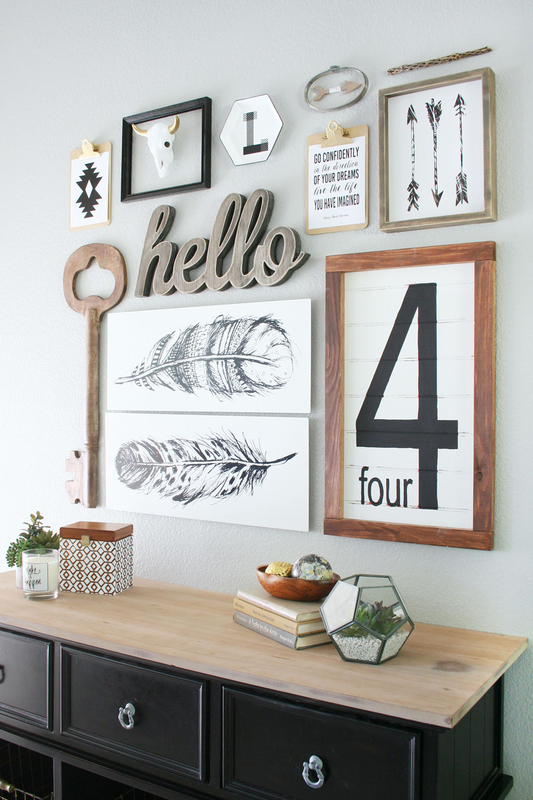 Your bedroom is a great place to display personal photos so why not create a gallery wall?! For a contemporary look select a frame finish that is consistent throughout the wall. Going for a more eclectic look? Get creative and pick different frame finishes in different sizes. My best tip for a gallery wall is to lay it out on the floor to see how it's going to look before hanging. If you're really nervous, cut out pieces of paper in the shapes/sizes of the frames and tape them to the wall first to see the layout then begin hanging! Lighting completely changes the look of a room. Making sure you have enough and the proper type of light in your bedroom can take your space from blah to fabulous! I always suggest adding a little flair with a statement overhead lighting piece in the bedroom. Whether a chandelier style, a contemporary fixture or drum shade, selecting a piece in your style will give you something to smile at every day when you walk into your room. The next lights to ensure are both stylish and functional are your bedside lamps. Always try to find lamps with a dimmer switch for your bedroom so you can have soft ambient light.